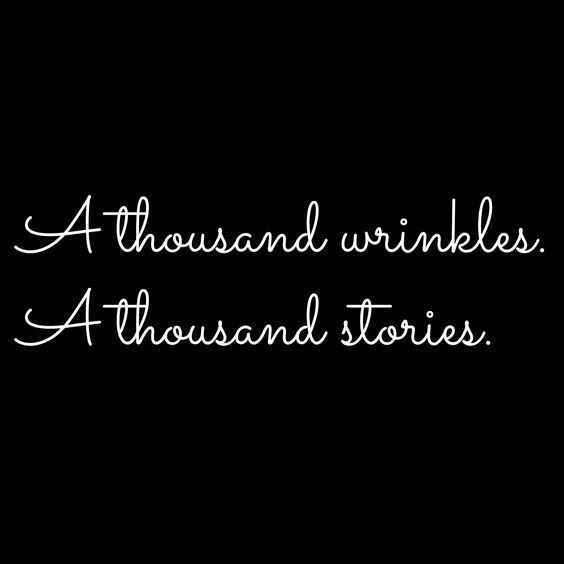 How Many Stories Can You Write at the Same Time? I was exhausted the other day while continuing to work on my memoir (and I'm still not done to my satisfaction yet!) But then I found myself trying to work on another piece I had recently begun. I was writing long hand notes for that one in bed last night, since i have not made as much progress on that one. I tried my best not to confuse the two. How many of you have done this? Is it easy to get wrk on more than one thing at once, and do you get easily confused? Use different music to signal to my brain that I’ve switched times/genres/etc. Right now I’m writing suspense to an Avengers/movie soundtrack channel I’ve built on Pandora. As soon as it comes on my brain settles down. I use different music for cozy mysteries or WWII historicals. This has worked really well for me over time which is why I listed it first. There’s something about the music that lets my mind know immediately which book to focus on in that moment. Always stop mid scene so I can easily get back into what I was thinking when I stopped writing. One way to smooth out this process of transitioning from book to book is to make a few bullet point notes of where I saw the scene heading before I end for the day. That alone saves a lot of time and helps me get started quickly when I start the next day or week or whenever I can come back to the story. It also allows me to end knowing that I know where to begin, alleviating the blank page syndrome. Edit what I wrote the day before to get back into the story flow. This is a great way to get right back into the story. It also helps me to let go of the editing details while I’m writing. If I know I’m going to come back the next day and clean up the spelling and grammar issues, it lets me focus on words on the page. It also helps me get immediately back into the story. Occasionally I will alternate days, but I don’t always have the luxury. When I’m working on more than one project, I compartmentalize them. I might work on a suspense in the morning and a romance in the afternoon. Or I pick days and stick to that–suspense on Monday, Wednesday and Friday, other things on Tuesday and Thursday. For a while, I wrote novel length books on weekdays and turned to Indie novellas on the weekend. Or I’d work on longer books all day and save one precious hour for other projects at the end of the day. Research one while writing the other. This last one works well. I like to let my brain think about one book by writing another. It may be researching an idea, reading background books, locating sources, but it’s a different kind of creative work that writing. It also allows me the break from an intense focus on one book and allows my subconscious to work on the second book. This process works really well for me. I've not tried any of these, but now wonder if I should. Though I have not done a lot of listening to music while writing--actually, none at all. I'm not sure what music I would listen to while writing. Sometimes, I'll be doing it while watching TV or a DVD, though. Click here to see more info and read others' stories. This week I decided to try a poem. A miniature, tenacious oval appeared. The perfect ending to a gloomy day. You don’t have to be a bestselling author in order for your writing to have an impact. By writing and sharing our writing with others, we are doing something positive, something good. However many books you sell, however prolific a writer you are, remember that you are doing something amazing. Writing encourages reading, and this brings great pleasure. Reading is one of life's simplest and greatest pleasures. It’s cheap, educational, cathartic, environmentally friendly, healthy and fun! By writing you are encouraging more people to read, you are contributing and promoting the pleasure of reading as a hobby, and no doubt reading a great deal yourself. Very true. By letting your writing be published, you are getting people to see what you have done. Even if they don't know you, you might just become a favorite writer of theirs. Writing speaks to people and helps them know they are not alone. No matter what you write, you end up exploring emotions, human behaviour and big topics such as love, friendship, fear and death. People take great comfort in reading something that they can identify with. Reading helps people to feel as though they are understood and this can make such a difference in their lives. Writing allows people to explore worlds that are not their own. Sometimes it can be so cathartic to escape reality for a while, and there is nothing quite like a good book to take us into a whole different world and help us get some respite from the one we reside in, albeit temporarily! Great stories transport the reader to places that they have never been before, they feel immersed and carried away by the story, the adventures, and the universes created by writers - and that is something truly wonderful indeed. Writing can teach us lessons, and make us think differently. Writers can choose to use their writing to teach valuable lessons, to give new perspectives and make us see the world and the behaviour of people in a different light. Writing can inspire, motivate, and bring about change. As writers, we have the power to reach out to our readers and try to make the world a better place. All the above can be especially found in a memoir. Whether it's a topic you identify with or one you know nothing about, this kind of writing can really make you think. I've read two different books written by a person with this condition. I'd never known about it until I read the book by this person, then heard about this one, which I quickly found at Goodwill. I may not know about having this condition, but learning about it really made me think about how these people must have been feeling. When I read memoirs about depression, it's obvious that I can really identify with the writers of such, even if it's not the same condition I have. I've come across many such books by people with bipolar disorder, but very few by people with dysthymia (which I have). Perhaps if I ever get published, my story will educate more people on the condition. Prozac is commonly prescribed for dysthymia (as I have been) and so many people already know about this antidepressant, one reason I was hesitant to write about it since it had already been famously written about (and more than two decades ago). But I then realized I've be telling my own story and how I see and feel about the subject. Writing demonstrates how following your dreams and believing in your goals is a wonderful thing. In short, you are setting a good example. By continuing to write, and do what you are passionate about and what you love, you encourage others to do the same. Imagine a world where everyone followed their dreams, and never gave up on their goals? What a happy place it would be! If by writing, you can encourage just a handful of people to keep pushing to achieve what they want out of life, you are making the world a richer and happier place to be. It now seems that my wanting to write about my experience with depression after reading a book on a similar subject is one way that one person's writing encourages others to do the same. Writing truly is a wonderful gift, and we can all use our writing to change the world, to inspire people, and to bring about kindness. No matter how vast or tiny our readership is, even the smallest changes can add up to make a huge and amazing difference! Even if you're not famous yet, your debut writing might just change that. Does Being A Writer Mean Being Miserable? We all have this impression of the sad, lonely and tortured writer. One who suffers rejection after rejection, who wakes up in the middle of the night, burning with a desire to write. One who is fearful of scorn, who cannot help but belittle themselves, who is wracked with envy, who feels like they are constantly struggling against themselves and against the world. But really, is this how writers are these days? Instead of focusing on the negatives and the myth of the miserable writer, shouldn’t we try to change this perception? Writing is tough but it’s also so rewarding and brings joy and satisfaction to many. Let's take a look at some of the common misconceptions about how writers are and what, in this day and age, the picture really looks like. The lonely writer has no time for others. Family and friends become little more than insignificant breezes that echo through their houses. They lock themselves in shadowy rooms and do not come out for days. The find it hard to communicate by any other means than via their craft. They are protective and closed, not wishing to share their work, paranoid someone might steal their precious ideas. The die alone in rags, their talent never discovered. While some of us might like the drama that this picture paints, the truth is, most modern day writers lead fairly normal lives. I write freelance so spend a lot of my working hours alone, sure. But I also spend lots of time around other people and don’t feel lonely in any way. I dedicate myself to the craft and work hard, but I don’t think I have ever missed a meal! Writers can be bubbly, sociable, and content - and being so doesn’t make them any less brilliant at what they do. The tortured writer spends hours tearing at their hair and agonising over every single word. They are a perfectionist. They get chapters away from finishing their book and then burn it all because they know they can do better. Their talent is taken for granted, they are often misunderstood and rarely ever happy. It’s great to care about your work and are passionate about what you do, but does this really mean your life must be wracked with heartache and misery? I think not. It is all too easy for writers to use the notion of suffering as a trap - a trap that they themselves climb into. We can’t possibly finish this piece because it’s not perfect, we can’t possibly write anymore because our minds are too full of ideas, we can’t possibly send off this manuscript because the world is not ready for what we have to say. In reality, most writer’s who get to the end of their novels feel proud and satisfied and excited to start the next steps to achieving their goal - and you know what? That’s more than OK.
We hate all other writers - unless they are rubbish and unsuccessful like us, because, you know, misery loves company. But then they get a book deal and we want to cry and kick them in the shins. We say things like ‘well they weren’t true to themselves’ or ‘they wrote for a mainstream audience.’ We are brimmed up with jealousy and self-righteousness and we fling ourselves around spilling our misery and bitterness wherever we go. You know what? I’m not gonna lie. If you are doing everything you can in the writing world to try and make it, it can feel a little disheartening when you hear of yet another undiscovered writer being ‘discovered.’ However, the truth is, rarely does a writer just spend a week jotting down their musings only for it to get picked up and turned into a multi-million-pound bestseller. For most writers, success comes through perseverance and a lot of hard work. That’s why, more than anything, we need to support and encourage one another, and let each other know that we are in it together! The terrified writer is so full of self-doubt they can barely write at all. They can’t show their writing to anyone, they daren’t call themselves a writer, and if they manage to send their manuscript off the first rejection makes them scurry back into the hole of sadness and fear from whence they came. Sure most writers have experienced moments of being a little too self-critical, of feeling uncertain and unsure, but are we really paralysed with fear? Do we really hate on ourselves so much that we can’t bear to sit down at our computer screens and write another word? Writing isn’t some sort of blood-curdling horror show, and being rejected is so far from the worst thing that is ever going to happen to us - so if we crumble and die when it does we need a thicker skin. It’s OK to be scared but most writers are actually incredibly brave because they battle their fears, they use them to motivate themselves, and never stop fighting to achieve their goals. From sticking our heads into ovens to slowly walking into a lake, writers don’t have the best reputation for being stable and level headed creatures. However, the truth is that we all have our quirks and eccentricities, but writing actually helps many people feel more stable, more in touch with their emotions and more able to express the way that they feel or want to say. Being, imaginative, creative, and looking at the world from a different perspective doesn’t make someone mad, it makes them unique and interesting. So let’s embrace our weirdness - a little strangeness makes the world a more interesting and colourful place after all! Being a writer should make us proud. Because we are strong and brave, creative, unique and strange and brilliant. So let’s distance ourselves from this image of a miserable and lonely writer - because we are passionate, courageous and following our dreams -and how many people can really say that? I'll admit I've considered myself more of a loner, but it doesn't necessarily mean I get lonely, though that can be true at times. It's often been said writers have suffered from depression as has been the case with me, but hasn't stopped me from trying to write about it. I do get hesitant about what details to include, but that's a decision only I can make. Yes, I can be self-critical of what I have been working on, but that seems to be true of anyone with their own works. I've even gotten that way with some of the art work I have recently made. I mostly keep these critiques in my mind, though. I don't know if the mad writer scenario applies to e personally, since I have never felt the desire to stick my head in an oven or slowly walk into a lake, as stated above. Id o get frustrated when trying to decided what to include and what to leave out, though I don't seem to panic as much about this as I might think I will. And I have very bad anxiety! And I have yet to try to get my story published, but I know I can expect a rejection or two or more, so I'm already prepared for that. Though I have yet to be on a writing deadline, I can see that anxiety that would come from such a thing. So I guess I can say that I don't exactly feel misery when writing, just my usual anxiety-ridden self. The best writing comes from a place of courage. Of facing up to our fears and tackling them head on. The best writing isn’t censored or submerged or flimsy. It hits hard and leaves you gasping for air. Writing what you fear can not only mean you produce some of your best work, it can help you deepen and expand as a writer, and bing about a sense of peace and satisfaction like never before. If you could be any kind of writer, who would you be? Go on, just dare to believe for a minute. Would you be a travel writer, going on amazing adventures and exploring the world? Would you write an autobiography exploring the scary, crazy unpredictable events of your life? Would you be a poet? Would you write weird, niche fiction that you know may not appeal to anyone else but that you would completely love? Sometimes our biggest dreams are our biggest fears. We shut ourselves down because we think our ideas are too crazy, too 'out there' or foolish to work. But if you want to be true to yourself, and to find true satisfaction in what you write, really think about what it is you want to write about, and then only write about that. I have written poetry and have begun attempting a diary-style novel. I still have yet to work more on that one and want to, but am still preoccupied with trying t finish my memoir to my best satisfaction. I was a little hesitant of starting the diary novel and there are some things I was afraid to include, but I did overcome all this fear in writing. Also, I wrote down what I could remember of a dream ai and a while ago (see here) that seems to have the makings of a horror/fantasy novel or even a short story, though I have yet to decide I want to develop this idea any further. But I noted down what I could remember of the dream just in case. Being vulnerable is pretty scary, but if we tap into all our emotions, all our experiences, some pretty incredible writing can emerge. It can be hard to really let our imaginations run wild or to really dig deep into our emotions or our past. It can be scary to use our love for someone, our heartbreak or our pain in our writing - but if we let ourselves be vulnerable in this way, the emotion will come across in our work and it will be raw and vulnerable and beautiful. All that I have been writing about in my memoir is stuff I care about. There are some things I can recall, but am not sure if I want to include them or if I feel a need to include the, I plan to include what I fell is necessary and pertinent to the subject of my memoir. What are you keeping locked up? What secrets do you have? Exploring the deep, dark depths of our souls is terrifying but can be where our best writing will come from. Not only will we feel brave and courageous, but writing about what you have kept hidden from others can provide a huge sense of relief and ultimately catharsis too. Whether or not to include certain recollections in my memoir also pertains to this one. Often I will recall something that others won't and become afraid that if they see what I have written, of how they will react. If I know these people, they might try to deny what I said is true or simply say that they don't remember this, whatever it is. I can just see how my aunt, who died almost nine years ago, might have reacted to some of the stuff I have written thus far. Be fearless in your writing, don’t soften the edges, don’t tiptoe around the subjects that might cause controversy. While writing purely to shock may seem gratuitous, if you are writing about a serious subject don’t avoid the gruesome, graphic details. It may make your readers uncomfortable, it may shock them, but it will get them to react. You may feel scared and uncertain, you may be worried that people will judge you, but fortune favours the brave after all! Again, with the feared reactions by others. If they say that don't remember, they probably will be shocked. Some details my be exaggerated, based on how much I can actually remember, but will be true for the most part. So next time you get that feeling of anxiety or hesitation and you feel yourself resisting what you really want to write about, just stand up to your fear and work though it. You’ll find if you do you just might surprise yourself and produce something truly amazing. So aim high, dream big and don’t worry about what other people think! Yes, fear and anxiety are two big factors in my life as is being hesitant about doing some things. I'm doing my best to to overcome some of these when getting my ideas down on paper. Here is my contribution this week. Click here to see more. It was a seemingly innocuous idea as Bob went into the antique store where he saw a variety of decorative things, including a gigantic abacus (which he could picture displaying in his kitchen at home), an old bookshelf made of delicate wood, an oil painting of an eclipse at night, an ancient finery for making wrought iron, and a plaster sculpture with many cursory details, including a yellow spot that made the figure seemed jaundiced. It was all too expensive for Bob, however, so he decided It was not healthy to linger in the antique store much longer. But one can dream, he thought as he left the store. Writing really is a gift, and doing so regularly can be cathartic, therapeutic and truly bring positive changes and benefits to your life and the lives of those around you. It also, of course, can bring great pleasure to the lives of those who read your work. So how does writing help to change your life for the better? Is there anything more useful than writing things down to help you make sense of them? Whether its a logical problem, or an intense feeling that you can’t quite account for. If you are feeling angry, or overjoyed, or deeply sad, writing things down and exploring your emotions in this way can help you make sense of things and feel much stronger and more equipped to handle anything life throws your way. When we were children our minds were so much freer. We didn’t censor ourselves, we didn’t feel embarrassed or silly for believing in magic. Writing helps us to get back in touch with that childlike self. When creating a story, you can be as imaginative as you wish and can conjure up worlds where magical, otherworldly, impossible things might happen. Being creative helps to make our lives more interesting, more satisfying. Through creativity, we can explore ideas, make connections and find deeper meanings, and writing helps us to exercise our creativity on a regular basis. Writing can evoke all sorts of emotions, all sorts of memories. Even if you are not writing a journal or autobiography, looking back on your work, you can’t help but be brought back to the time you were writing it. If you write throughout your life, no matter what it is you write about, you have this wonderful, fantastical, detailed account of your journey that is truly amazing to look back on. There is nothing more frustrating than feeling misunderstood, or struggling with emotions, desires and thoughts that you feel you cannot clearly express. Writing helps you to share such things, to explore them, and to reach out and touch the hearts of people who are perhaps feeling the same. Reading is a pleasure that has been enjoyed for hundreds of years. If your writing touches one reader, inspires them, comforts them, makes them look at the world differently, or simply entertains them for a while then you are bringing something positive and wonderful to the world. The more readers you are able to deliver this to, the better! Writing is something that you have to work hard at. But in doing so you will see fantastic results. Not only will you get closer to your goal of finishing that story, but your writing will also improve. It’s incredibly satisfying to get better at our craft, and the sense of achievement you feel when you finally finish your story is something truly amazing. Writing really can make such a positive and impactful difference in your life. The more you do it, the more you will learn how to use it as a tool to bring you happiness and peace. Writing helps your memory, helps you feel more positive, and helps you communicate and connect with others, as well as providing you with a sense of pride and satisfaction like no other. So next time you sit down to write just remember what good it brings you, and be thankful for that! This I can say I agree with. I've definitely felt rewarded in working the long book I have been composing. It's gotten my creative juices flowing. I'm still wondering how much longer I can go and what I can do next. I do have another writing project started and want too get more done on that one, but the ideas for the memoir keep coming and I've gotten so into trying to get it done. I've gotten so into my writing that I need to find some time to find art ideas for work. I just did the following idea (click here for info). As with the assemblage, I try to make examples at home so others will get the idea. And I need to find some recipes to try for cooking class. Since Memorial Day Weekend is coming up, I might try to find something I can do then. As I continue my memoir writing journey, I still get somewhat frustrated about the word count. If you've read my blog regularly, you probably already know about this. I've been told that that the effort put into the work is what should count and I agree with that. Nevertheless, I still wonder how so many people have written such works of 70K words or more. In some such works, I see many overly descriptive narratives. I've tried this, but maybe it's not exactly my style. and in general, I fell like I have don't a have a lot to say compared to those I have read. I know I shouldn't compare like this, but I get fearful of being told mine isn't long enough. 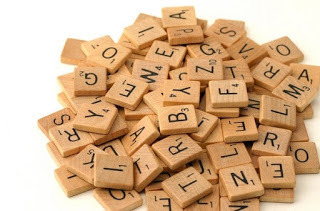 I have been told conflicting stories that traditional publishers require a certain number of words, and have heard conflicting posts on just how many words. And that it doesn't matter how long if you plan to self-publish, but I'm a bit ambivalent on the idea of self-publishing. But now I find myself remembering more things I feel a need to add. I'm just not sure what chapter to add these things to, or if to start a new one altogether. I see nothing wrong with the latter idea. It's all just a matter of decisions. We are always told to ‘write what we know’ but what does that really mean? If you don’t have any desire to write an autobiography or can’t see how a book about your everyday experiences or the past is going to knock the socks off your reader, how do you use what you know, what you have experienced, and what you are passionate about, in your writing work? I was told this many times, and was almost certain I was going to choose to write a novel based on my experiences with depression. But as I began writing notes, it began to sound more like memoir, so that is why I went with that. Having been influenced by another person's memoir on the same subject may have been why I found myself writing my notes that way. Whether I had chosen to write fiction or a memoir, I was apprehensive of using other people's real names or using their characteristics to define a fictional character. I've seen this used as a gag on TV shows: Someone is trying to write a story and someone else tells that person to "Write what you know." The would-be writer takes this advice and ends up penning something that leads the other characters to say "This story is about us!" Now I wonder how many real-life writers have had this happen to them. Magical, unusual, beautiful and horrifying things happen all around us all the time. Keep your eyes and ears open to them and soon you’ll start to notice things that you can use in your writing to make it more believable, exciting and unique. Next time you go for a walk or sit on a bus, really look at everything, immerse yourself in the moment - and make sure you bring a notebook so you can capture everything that strikes you there and then. It’s hard to have real life experiences worth writing about if you never do anything or go anywhere. Sitting inside on your sofa or staring for hours on end on your computer screen will get you nowhere. So make a real effort to be a yes person and you’ll find your life becomes richer, more exciting and more unusual - all of which are excellent fuel for a great story. I'm not sure how, if at all, either of these two above have worked into my memoir writing. Doing things that push you, that take you outside your comfort zone and that scare you a little will help you find inspiration in your real life experiences. Those things that make us nervous, make our palms a little sweaty, make us get butterflies are usually the things that make for good stories. So the more you are willing to take a leap of faith and to have the courage to simply go for it, the more fuel you will have to merge these experiences into your work. I guess I was brave to have looked in my old journals (see below) to find out something I wanted to add. There were somethings I didn't want to be reminded of and many of these I already remembered even without looking at the journals. But there was something I wanted to know for sure, so I had to look the journals to know. I now also think some of the things might have worked for a fictional novel. OK so you might not have a great many stories of your own, but the more you talk to people the more you will learn about them, their lives and the tales they have to tell. You never know when someone might tell you something beautiful, interesting or hilarious so always open yourself up to people of all ages and from all backgrounds. Learn what you can from the. Gather stories and use them to influence your work. The more people you meet the more likely you are to find those with great stories and can use them as the basis for many of your rich and interesting characters too. The closest I came to this one as far as memoir writing goes is when I recently asked my mom if she thought I could have been considered a precocious child. She told me some thing I was too little to remember for sure--I taught myself to read and was drawing perspective at a young age. And she reminded me of an ability I had a child--if she or another adult asked me what day of the week a date in the past fell on, I mostly could answer this correctly. I seemingly memorized the calendars that was in the back pages of the old telephone directory (anyone remember seeing that calendar?) I now think these characteristics would work well for a fictional character. Talk to your relatives about your history, ask them to share their stories and really explore your memories of what it was like growing up. The places you’ve lived in, the holidays you went on as a child, how you felt on your first day at school. You have a whole life’s worth of experiences in your past, so take your time to think of them and see how they could influence your writing. I've been doing this one, well sort of. My current treatment on antidepressants wasn't my first. It had been years since I first did so, then left suddenly. During that time, I'd been asked to keep a journal and had three of them. The other day, I went to find them in my storage shed to see what info contained in these journals I could use. There was one thing I remembered before evoking at the journals. Turns out I remembered the date incorrectly (according to the date of this detail in the journal), but decided not to try to correct it. I'm probably the only one who remembers this one particular incident and if no one else knows for sure, then I see no reason to be too factual. In this way, I'm kind of fictionalizing some facts. It has seemed to work better this way. I have noted in my prologue that some events have been jumbled or combined, but are true and accurate for the most part. This, I presume is what a "fictionalized memoir" is. Immersing your real life experiences in with your creative writing can be a wonderful way to explore your past, to really get in tune with the world, and to create some meaningful, beautiful, real writing that feels true to you and will connect deeply with your readers. So next time you sit down to write, think about how you can use your past, your present and the people you meet each day to help make your writing even more special and unique! I'm definitely taking all of these ideas into consideration if I ever should write a novel. Can You Have Too Many Characters In Your Book? How Would You Do Research For That?